Over time, due to heavy use and mileage, the track arm holes tend to become egg shaped causing the pickup truck to become unsafe to drive. This product is inserted into the cleaned up egg shaped holes by replacing them with a simple bushing. The advantage to using this bushing is the surface area created by the larger diameter bushing washer that has taken the place of the original hole. 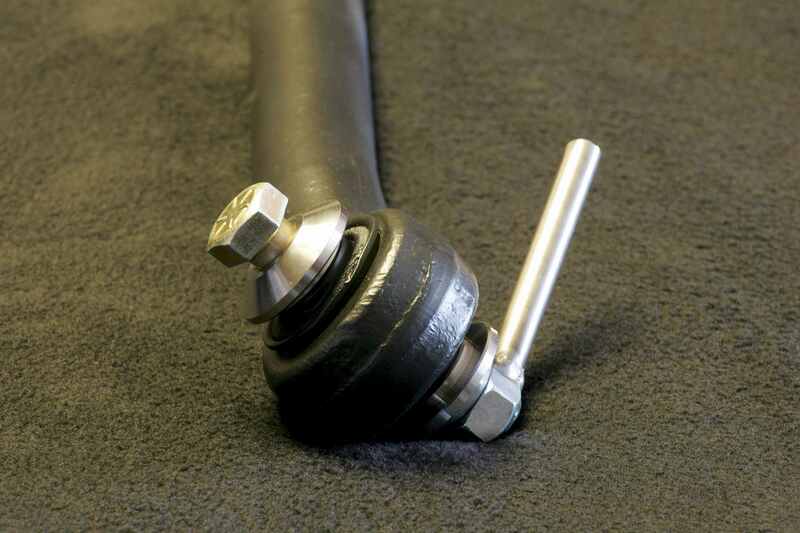 The hardened machined DOM allows the track arm to become stable again, making the truck safe to drive. This includes 2003 - 3/18/2007 Dodge trucks. Now available @ $159.00 a set, Free Shipping USA all others call. 4th generation Dodge trucks 2008 - 2014 @ $195.00 a set, Free Shipping USA all others call. 5th generation Dodge Trucks 2015 to current @ $195.00 a set, Free Shipping USA all others call.